Tipperary artists and creatives are being called to apply for the D.I.V.A. Artists in Residence programme at this year's Electric Picnic. Now in its third year, the Diverse Individual Visual Artist programme will provide an opportunity for professional Irish Visual Artists to exhibit an existing work to the 55,000 strong festival audience within the festival’s unique environment. 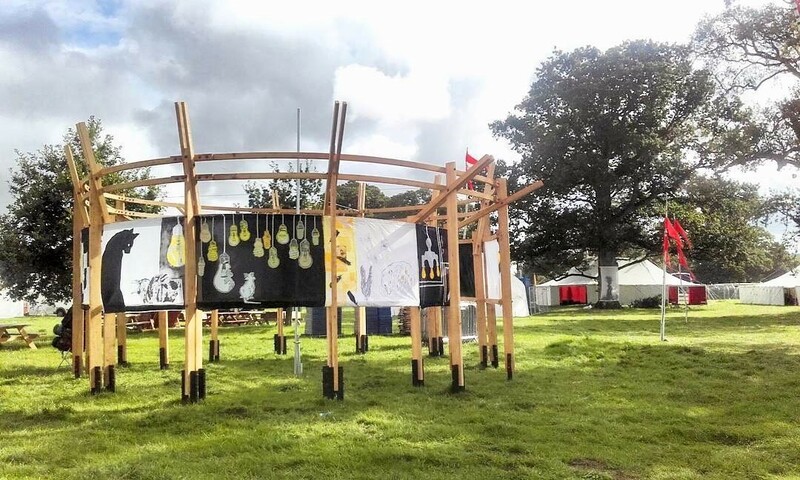 Electric Picnic is calling on artists to submit a work they have already conceived and to re-imagine it for this exhibition in this unique festival environment. We are throwing the net wide, looking for works that are thought provoking or works that are simply beautiful; works from all mediums, styles and philosophies are welcomed. A bursary of €5,000 will be offered to be shared among the successful artists, of which there will be a maximum of four, who through the exhibition of their work will help create an amazing backdrop to the festival experience. In many ways Electric Picnic Music & Arts Festival is one large-scale collaborative art project - a transient work of immersive and experiential escapism. It attracts a wonderfully open audience, who are eager to absorb the world that has been created for their enjoyment. They are energetic, adventurous and curious people. They want to explore and experience, and they expect to be challenged. The artists awarded the D.I.V.A. bursary will live and work onsite for a duration during the "build phase" of the festival and will use this time to adapt their chosen work to this very unique environment. Works must be installed and completed by the 24th of August 2018. The process will involve dialogue with event organisers to ensure that the artworks created suit the festival environment, both visually and practically. Artists are responsible for providing the structures and materials required for the installation of their work and adaptation to the environment in question. Certain resources can be made available to the artists subject to availability and advance arrangement.